Note: Courts will be closed for Memorial Day, Monday May 28th. Rocket Docket Pleas in Circuit Court – None this week. 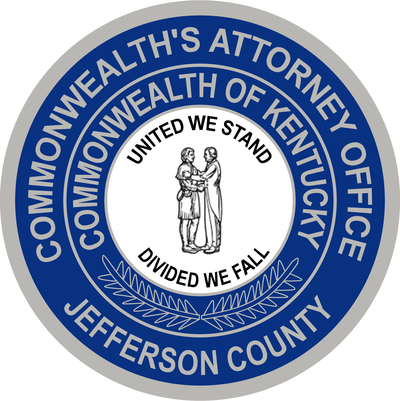 Today the Office of the Commonwealth’s Attorney presented to the Jefferson County Grand Jury a case regarding a Louisville Metro Police officer-involved shooting. The Grand Jury has begun its deliberations and is expected to report to the Grand Jury Judge sometime this afternoon. The Grand Jury Judge for the month of May is Jefferson Circuit Court Judge Ann Bailey Smith and the Grand Jury will report to her in the courtroom of Division 13 of Jefferson Circuit Court. Mr. Boden (DOB 03/08/82) was charged after officers observed a drug transaction on July 22, 2016. Officers observed Mr. Boden receive money from another individual in the parking lot before entering an apartment. Mr. Boden exited the apartment approximately 3 minutes later. When he returned to the parking lot, Mr. Boden then handed something to the other individual in the parking lot and both drove away separately. When police stopped Mr. Boden he was found to be in possession of cocaine and informed officers that he had purchased the drugs from someone inside the apartment. A Jury Trial began on May 15, 2018 and concluded on May 17, 2018 in Division 6 of Jefferson Circuit Court. Mr. Boden was sentenced to 5 years in prison, to run concurrent with an 8 year sentence on which he was previously probated for a total of 13 years in prison. Phil Bronson is the prosecutor. Mr. Ray (DOB 06/28/78) is charged in connection with causing the death of Claudia Higdon, one of the victims of the defendant’s string of multiple robberies that began on June 12, 2017 and continued until his arrest on June 17, 2017. The robbery of Ms. Higdon and the burglary of her home occurred on June 13, 2017. Ms. Higdon died on July 20, 2017. Her death has been attributed to the stress that the robbery event caused on her heart. A pretrial conference for this case and the related case involving additional armed robberies, 17CR1824, is scheduled for Wednesday, May 23, 2017 at 2:00 p.m. in Division 5 of Jefferson Circuit Court. Stacy Greive and Ryan Olberding are the prosecutors. Ms. James (DOB 03/17/98) is charged in connection with the June 26, 2017 stabbing death of a 14 year old girl at the Speedway in Portland. An immunity hearing is scheduled for Friday, May 25, 2018 at 1:00 p.m. in Division 8 of Jefferson Circuit Court. Stacy Greive and Milja Zgonjanin are the assigned prosecutors. Mr. Mallory (DOB 09/05/82), Mr. Hogan, (DOB 06/16/93), and Mr. Pendegrass (DOB 12/14/89) are charged with the April 11, 2012 Murder of 15 year old Gregory Holt Jr. inside his home. Mr. Mallory’s case has been severed from his two co-defendants and will be tried individually. A hearing for pretrial motions in Mr. Mallory’s case is scheduled for Wednesday, May 23, 2017 at 1:30 p.m. in Division 12 of Jefferson Circuit Court. Dorislee Gilbert and Madison Shoffner are the prosecutors. Ms. Cecil (DOB 11/21/78) and Mr. Greenwell (DOB 11/17/76) are charged with the shooting death of Jennifer Cain and the attempted murder of Darrell Wilson that occurred on May 13, 2016. A jury trial is scheduled for May 21, 2018 at 10:00 a.m. in Division 9 of the Jefferson Circuit Court. Milja Zgonjanin and Corey Taylor are the prosecutors.